"J" and "C" have loved doing different sensory play things with the Halloween toys. It was so nice out we took the play on the deck and they mixed different kool-aid packets, water, spiders and eyeballs together. Then after they mixed it all up"J" said mom, "do you want some of our spider cider?" I thought that was too cute. I said "yes". Then "J" said, "it will be good mom, it's like apple cider." Dollar Tree spiders and eyeballs.....we have got our money out of those toys!! I poured alittle kool-aid into the recycled containers and then let "J" and "C" pour and mix away. 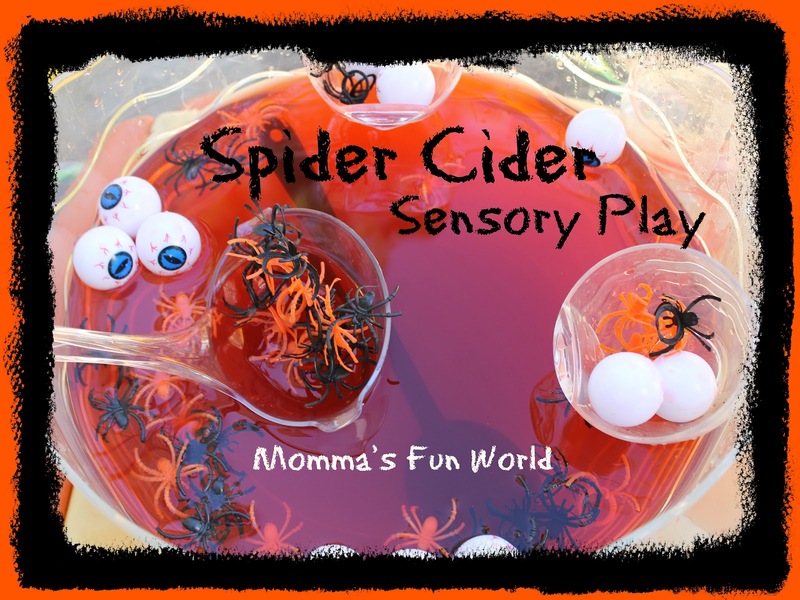 They loved playing together making this fun cider. "C" loved scooping all the spiders and eyeballs in and out of the pitcher. If you like Halloween sensory play make sure you check out the other fun things we have done here. Thanks for stopping by to see what fun stuff we are doing. If you like what you see please come and follow us over on FB and Pinterest, would love to have you. Also, please feel free to share the fun things you are doing with us. Looks like they sure had a fun time with their spider punch! Thanks for sharing at tip toe thru tuesday! Premade Blog Designs by Raspberry Road Design.